Employment Notification Date: 10th April 2019. 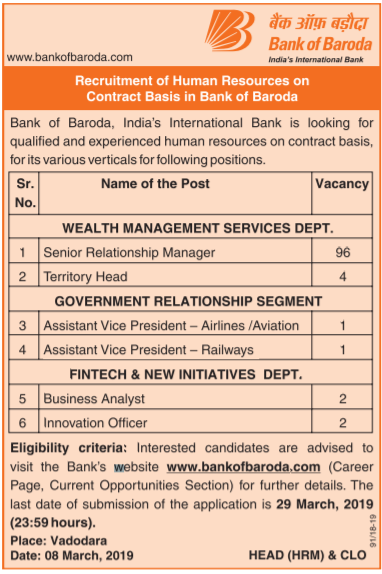 Short-term Information About this Bank Recruitment: New bank job opportunity for all Indian candidates who are wishing to pursue their careers as a banker. Allahabad Bank recruitment department issued an official employment notification related to this Specialist officer recruitment process. Bank said that there are a total of 92 vacant posts which are going to be filled up after the completion of this recruitment process. We are trying our best in explaining the whole recruitment process in this article. We also come to know about this recruitment process from the official website of the bank. 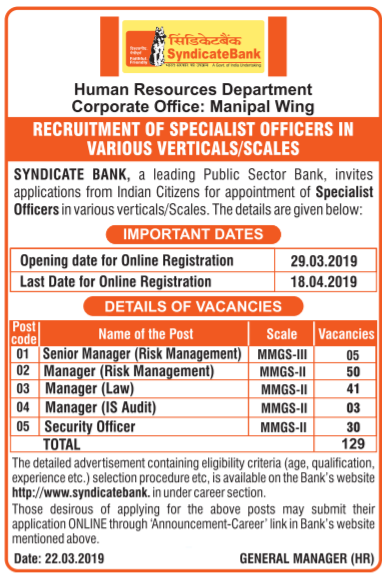 Check the various sections below to know more about this Bank recruitment process 2019. · SC/ST/PWD aspirants have to pay: Rs.100. · The Remaining casts candidates have to pay: Rs.600. Payment Manner (Online): The payment manner means the method through which you can pay the application fee. The various methods for the payment are: “Debit Cards (RuPay/ Visa/ MasterCard/ Maestro), Credit Cards, Internet Banking, IMPS, Cash Cards/ Mobile Wallets”. Choose any one of these methods for the payment of the fee. · 9th April 2019 is the Start Date for Apply Online. · 29th April 2019 is the last Date to Apply Online. · June 2019 is the Tentative Date of Online Test. SBI PO Examination Online Form will be active on 2nd April 2019. 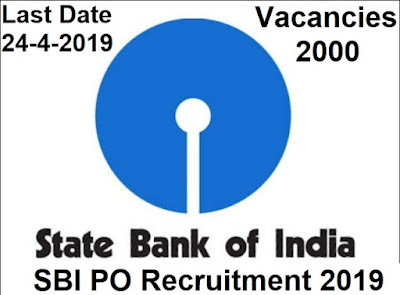 Today SBI Recruitment department issued an official notification related to the SBI PO Examination 2019. SBI PO applications are invited from qualified Indian Peoples for the employment as a Probationary Officers (POs) in State Bank of India. Applicants nominated are responsible to be posted anywhere in India. 1. Before you are going to apply, all the applicants are demanded to ensure that they achieve all the suitability standards for the post as on the date of eligibility. 2. The procedure of Registering is complete only when fee is placed with in the Bank through Online mode on or before the last date for payment of fee. 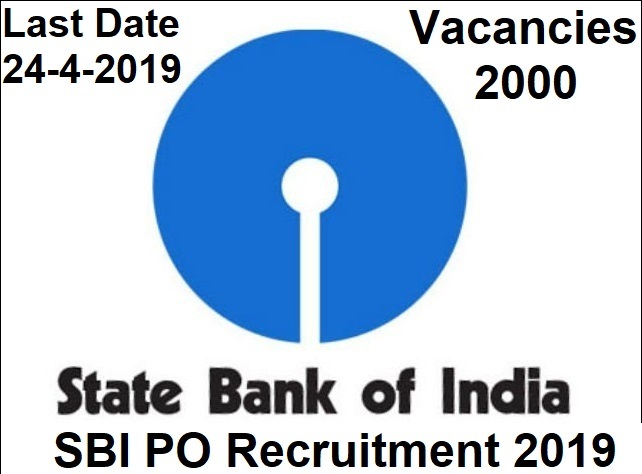 Qualified applicants, who seek to join SBI (State Bank of India) as a PO (Probationary Officer), are mandatory to register on-line for the SBI PO Recruitment Process 2019. The recruitment procedure will be held in three phases i.e. Applicants who are nominated after SBI Preliminary Examination will have to appear for Main Examination. Applicants who are nominated after the SBI Mains Exam will be subsequently called for Group Exercises & Interview. Potential applicants can apply after sensibly reading the advertisement regarding the process of examinations/ interview, eligibility criteria, online registration processes, payment of prescribed application fee/ intimation charges, pattern of examinations, issuance of call letters etc. and ensure that they fulfil the stipulated criteria and follow the prescribed processes. Essential Academic Qualifications: Indian Applicants who have completed their Graduation in any stream from a well-recognised University of India with 60% marks or any equivalent qualification recognised as such by the Central Government can Apply for this SBI PO Recruitment 2019. Applicants who are in the Final Year/ Semester of their Graduation may also apply provisionally subject to the condition that, if called for interview, they will have to produce proof of having passed the graduation examination on or before 31.08.2019. Note: Calculation of Percentage: The percentage marks shall be arrived at by dividing the total marks obtained by the candidate in all the subjects in all the semester(s)/ year(s) by aggregate maximum marks in all the subjects irrespective of honours/ optional/ additional optional subject, if any. This will be applicable for those Universities also where Class/ Grade is decided on basis of Honours marks only. The fraction of percentage so arrived will be ignored i.e. 59.99% will be treated as less than 60% and 54.99% will be treated as less than 55%. Age Bond: (As on 01.04.2019): Not below 21 years and not above 30 years as on 01.04.2019 i.e. candidates must have been born not later than 01.04.1998 and not earlier than 02.04.1989 (both days inclusive). Union Bank of India recruitment 2019 for various officer level jobs all over India. Bank is going to filling up 181 total vacancies for various job profiles through this bank recruitment process. Union Bank of India is one of the leading listed Public Sector Bank of India with branches all over India. The Head Office of This Bank is in Mumbai. Union Bank of India recruitment department invites On-line bank job applications for the recruitment to the following posts in Specialized Segment. 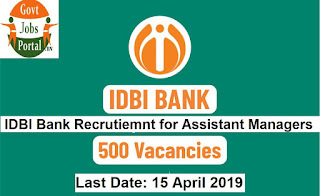 **The Total number of vacancies are tentative related to this Bank recruitment and can be altered at sole decision of the Bank. Note: The nominated applicant can be posted at any Branch / Office of the Bank at sole decision of the Bank. 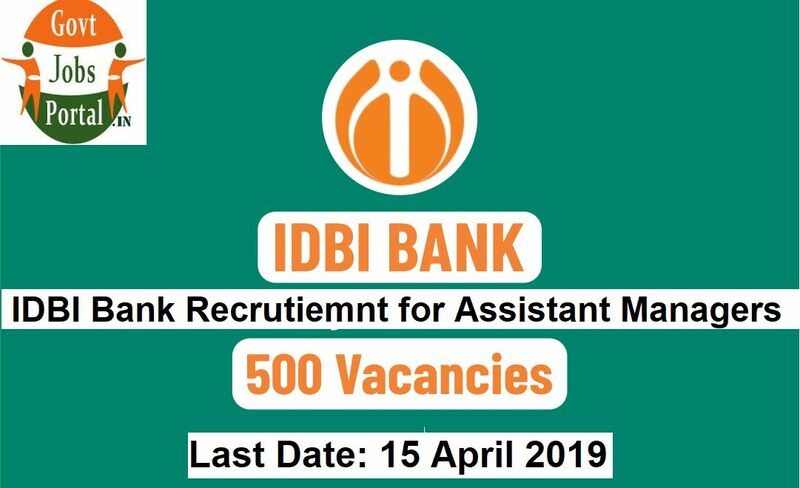 Hence, the applicants willing to work at any of the Branch / Office of the Bank need only apply for this Union Bank of India recruitment 2019 for Officers.